You will realize as you read through this post that I am really into Pentecost. It is a holy day filled with potential for children. I have gathered ideas from my Years A and C posts and added some fresh ideas here to create my up-to-the minute list of Pentecost ideas. So, enjoy and add any of your own in the comments section. from Art in the Christian Tradition, a project of the Vanderbilt Divinity Library, Nashville, TN. http://diglib.library.vanderbilt.edu/act-imagelink.pl?RC=54211 [retrieved April 10, 2015]. * Pentecost is a birthday party for the church. Since children are the pros on birthday parties, it is a good Sunday for them to be involved in lots of ways. Only a few of them are listed below. 1. If you have birthday party at the fellowship hour, ask the children to host it. Preschoolers add stickers (church buildings, flames, “Happy Birthday”) to the usual white napkins. Elementary schoolers decorate an iced sheet cake or cupcakes. (White cake is fine, but Red Velvet Cake is more liturgically correct J and interesting.) Write “Happy Birthday Church” and add flames, crosses or other symbols with red icing tubes. Older elementary children can serve the red punch. Children can also lead the congregation in singing Happy Birthday and blowing out the candles. 2. Children’s classes can prepare red crepe paper stoles for all worshipers to wear during worship. 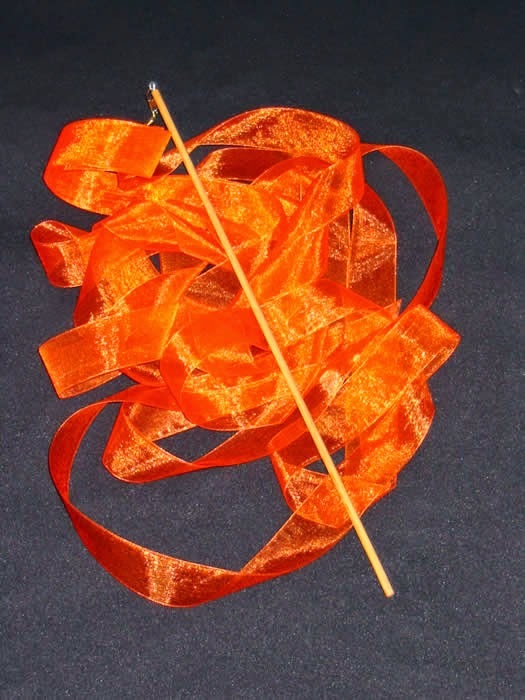 Precut the red streamers and ask children to add a Pentecost sticker (church, flame, dove, “Happy Birthday”) to each end of each stole. Children may give these stoles to worshipers as they enter the sanctuary or distribute them during the Call to Worship as a worship leader explains the meaning of wearing stoles and briefly introduces Pentecost. NOTE: Flame stickers and decals today are most likely to be those that go on hotrods or motorbikes. And that is just fine. Those are powerful flames that appeal to children more than a warm campfire flame. They say to the wearers, “ladies and gentlemen, start your engines” – or "get on the move for God empowered by the Holy Spirit." 3. Instead of draping worshipers with red crepe paper stoles, mark each one with a flame sticker on the back of a hand or forehead. An older children’s class could work with greeters to put one on each worshiper as they arrive. 4. Meet with a congregation from a different ethnic background. Share languages, choirs, and even a picnic with all kinds of foods – and the same Lord! 5. Give worshipers red candles to light from the Easter candle. Notice that the light these candles make during daylight is not as impressive as the light of candles lit on Christmas Eve. But, it is a fact that God shines through us every day. Sometimes we don’t feel it makes a big difference, but it does. 6. Many denominational logos feature flames. Point to those flames and connect them to the flames of Pentecost. 7. Have children lead the opening processional and the final recessional waving flame - colored streamers. 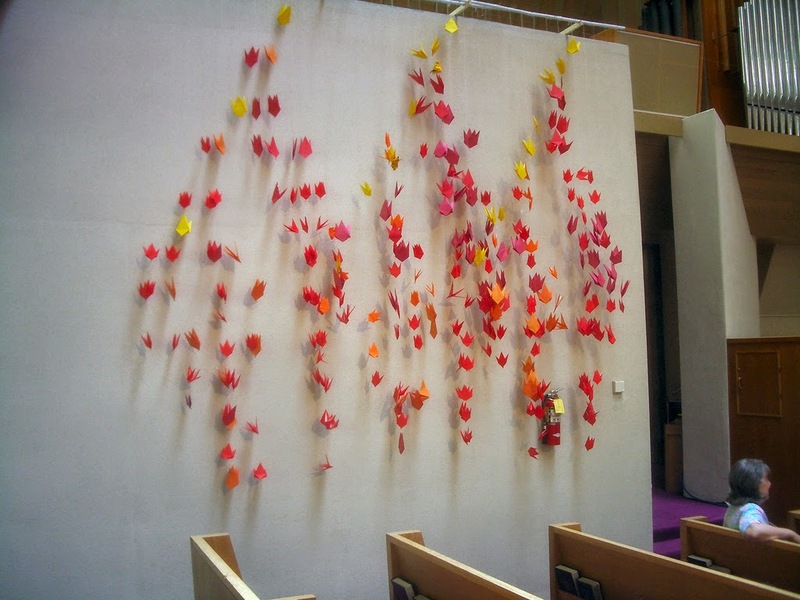 * Go to Pentecost Streamers Images for a grand collection of images of Pentecost sanctuaries. 1. Even though Jesus has ascended, God is still with us. We are not on our own. God the Spirit is with us always in all places. 2. God gives us power that enables us to do God’s work on earth. God inspires us, gives us gifts (talents), and works through us. God expects us to “do something in God’s name.” This is a powerful self-image. We are powerful and God has work for us to do. Impress it on the children, encouraging them to identify and practice their gifts. Tell stories about people and churches doing this. Look forward to seeing what each of them do for God. Celebrate that fact with amazed joy. * Create a flame poster or banner that features all the names for Holy Spirit (Holy Ghost, Holy Spirit, Advocate, Counselor, God’s Spirit, etc.) that you will use in worship today. 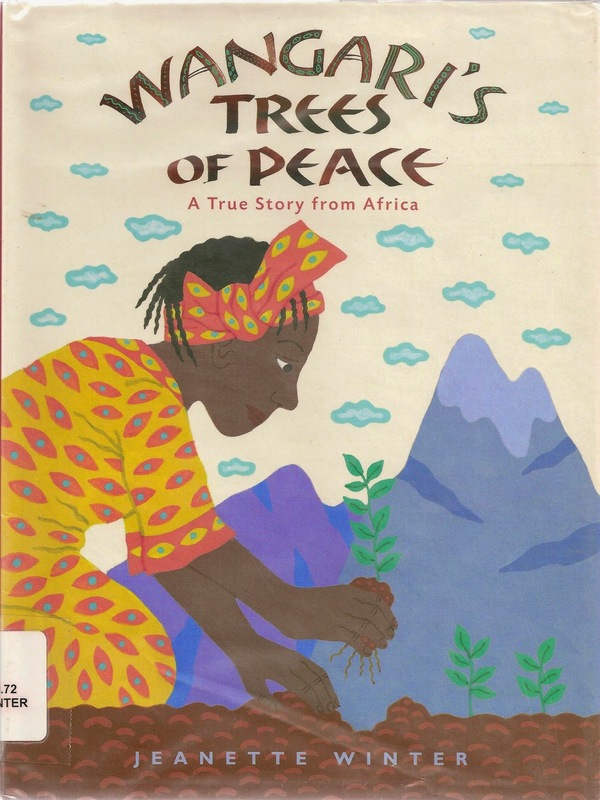 Present it at the beginning of the service and challenge children to listen for each one. 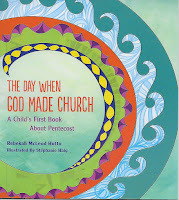 * The best Pentecost songs for children are often familiar short choruses. Consider singing only the chorus since the verses refer to unfamiliar-to-children Bible stories and the River Jordan. Make up new verses that match the ideas or illustrations in the service, e.g. I’m gonna serve, walk (fund raiser walks), etc. Even with its Elizabethan English, children like it. They savor the repeated first phrase of each verse and figure out the rest of the verses over the years. * “On Pentecost They Gathered” calls on the congregation to sing the story. To keep everyone’s attention have a choir sing verses 1 and 3 about what happened and the congregation sing verses 2 and 4 about the crowd’s and our responses. * It is a good day to sing hymns from different countries. Many current hymnals include Spanish and Asian hymns with words printed in that language and English. If each hymn is introduced with a simple “our next hymn comes to us from the Christians in NAME OF COUNTRY, children will enjoy all the variety and learn that the church includes people who speak many different languages. * The Roman Catholic Lectionary cuts this reading after verse 11 which omits the Joel prophecy and Peter’s sermon which is rather difficult for children sermon. It is also shorter. left side: What does this mean? right side: They are filled with new wine. When I saw this done, the two leaders produced flame colored streamers which they flew up and down the aisles as the end of the story was read. 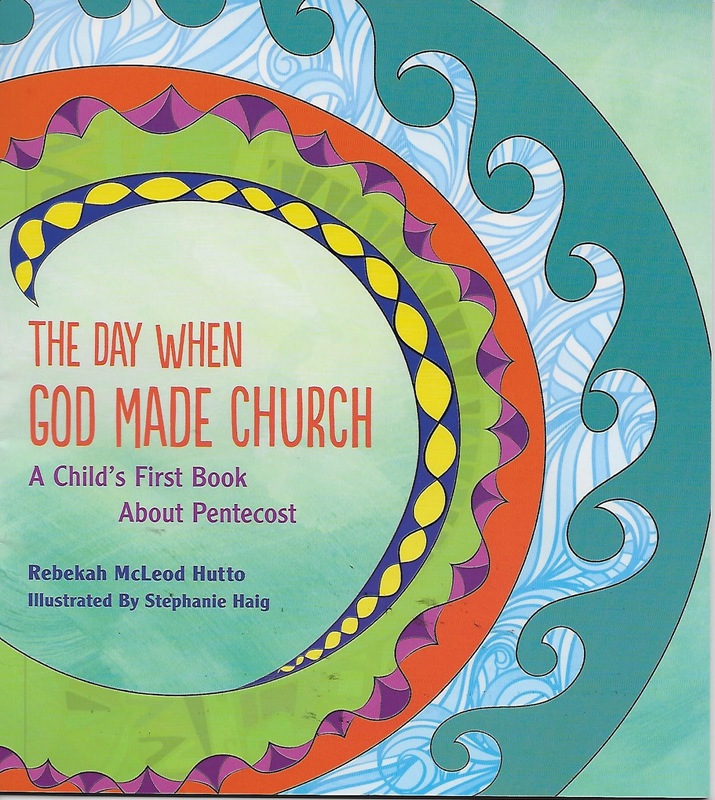 * The Day That God Made Church: A Child’s First Book About Pentecost, by Rebekah McLeod Hutto, tells the story of the text with artful words and illustrations. Read it instead of the biblical version in worship today. Or, read it just after the biblical version urging worshipers to listen to this version of the same story to hear in more detail what happened. * Before reading the story, alert worshipers to the list of homelands of people in the Pentecost crowd. Project or display a map of the region and point out where each named place is. When possible name the language spoken in each place at that time. Laugh about how hard it is to pronounce some of the names. Get show of hands from the congregation to learn who has visited which places. Note the places that are in the news today. The goal is not that the children know and pronounce all the names, but that they realize that these were real places and the people who lived in them were real people visiting in Jerusalem. * Every birthday includes some wonderful birthday surprises. The church’s birthday surprise on the first Pentecost was that even though Jesus had died, been raised, and then gone to heaven, his disciples were not alone. The Holy Spirit, the very power of God, was with them giving them the power to be the body of Christ in the world! What was true for them on the day the church was born is also true for us today on the church’s 2,013th birthday. * Wind and fire are metaphors. Point out that Acts does not say there WAS wind and fire but that something strange and mysterious and powerful happened. The only way people could describe what happened was to say it was LIKE wind and fire. Note that the important thing was not the wind or the flames, but that people knew for sure that God was with them in a very powerful way. Knowing that gave disciples (who were hiding out in fear) the courage to run into the streets and tell everyone they met about Jesus. Knowing that gives us the courage to follow Jesus today. 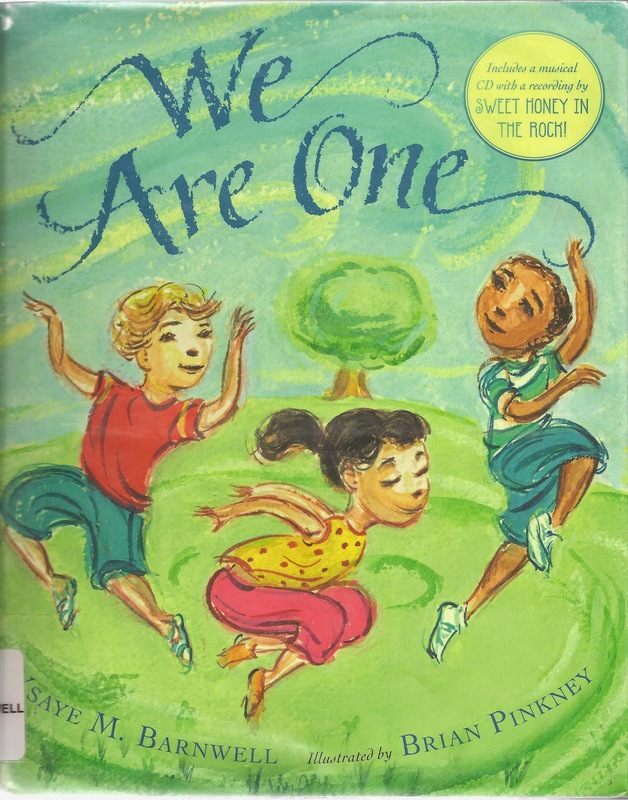 * We Are One, by Ysaye M. Barnwell, is a short picture book to read and savor with children on Pentecost. Each page features a short phrase that recalls Joel’s prophecy and the realities of Pentecost illustrated beautifully. Rather than point out those connections, simply read the book and speak briefly about one or two of the pages. I found a copy in the local public library. * Ezekiel’s Valley of Dry Bones was an artist’s vision. It deserves and is best claimed with an artistic presentation. Try the following. Ezekiel: So I prophesied as I had been told. Breath entered the bodies, and they came to life and stood up. (Make sounds of rushing wind with a recording, whisks on snare drums, people blowing into microphones, rubbing sandpaper-covered blacks together, or something else. As the wind blows the “bones” stand up, even waving their hands over their heads.) There were enough of them to form an army. 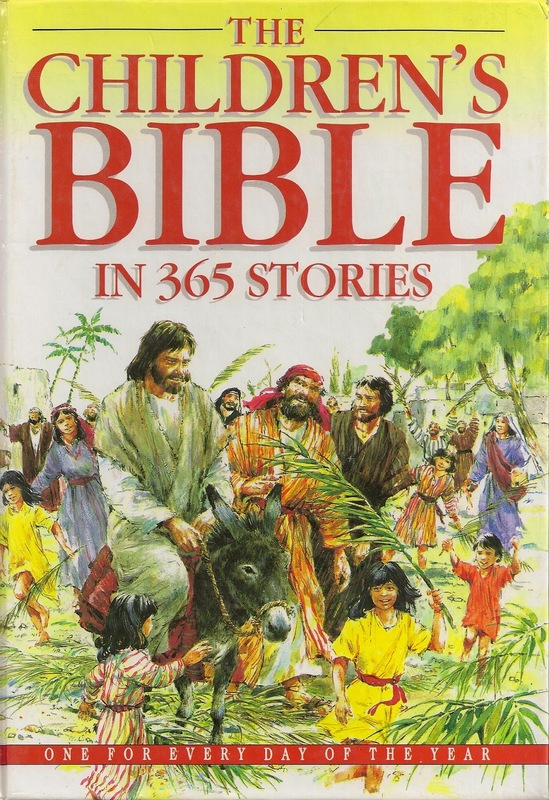 * Read a child-friendly version of Ezekiel’s vision in “Dry Bones, Come Alive!” in The Children’s Bible in 365 Stories, by Mary Batchelor. 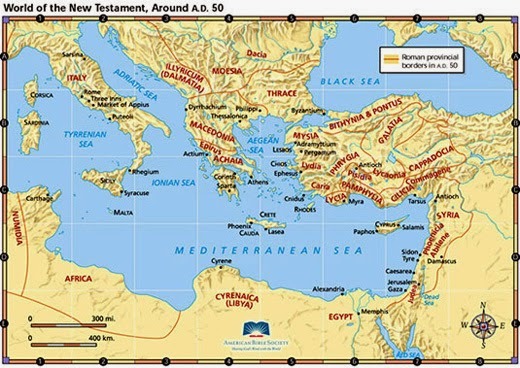 Ask the congregation to imagine that your town has been invaded and destroyed. All the churches were burned to the ground. All the leaders were killed. People who weren’t killed in the battle, were rounded up and taken to live in the invading army’s country. Then tell them, that is exactly what had happened to Ezekiel and the people to whom he was speaking. Or, simply take time to tell the historical back story of the destruction of Jerusalem and Exile. * Illustrate the story with sounds. Provide castanets, rain sticks, rattles of all sorts, cans filled with dried beans, or anything that rattles for the verses about the bones. Several people blow on live microphones or rub sandpaper blocks together to produce the wind sound for verses about God’s breath. 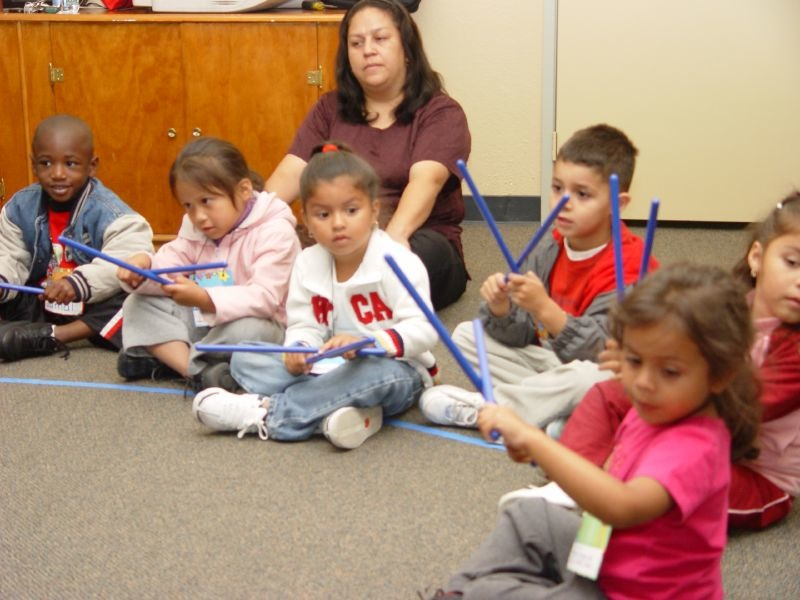 A children’s class could be enlisted to serve as a sound choir practicing in advance. Or, children could be invited forward to provide sounds as the scripture is read. In either case, they will need a director leading them during the reading. It will also help to read the passage twice, first without the sounds, then with them. * Accompany “I’m Gonna Sing When the Spirit Says Sing” with the rattles and wind sounds described above. * At the end of the school year many children, teachers, and parents feel like dry bones. They are worn out. The temptation is to look toward summer to take a break from or just quit all the effort of the school year. Especially, if the year has been hard and if summer doesn’t promise an inviting break, it is easy to feel hopeless – like dry bones is all that is left of you. Ezekiel’s vision insists and the Pentecost story proves that when feel most “dried out” and hopeless, God still has big plans for us. The Holy Spirit still blows through all our messes. And, we rise up to do something new.
? 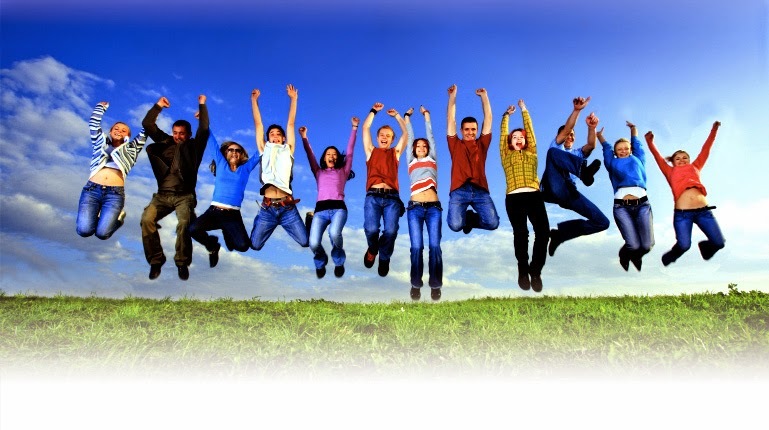 Have you ever felt so happy that you almost believed that you could flap your arms and fly like a bird?
? Have you ever felt so excited you could almost explode?
? Have you ever felt so small and so stupid that you felt like a rock and expected the next person who came by to kick you down the road? Listen to what Ezekiel say to people who so hopeless and lost that they felt like dry bones that were bleaching out in the hot desert sun. * Or, simply provide children with a worship worksheet. Print the text in the middle of a page and frame it with empty blocks. 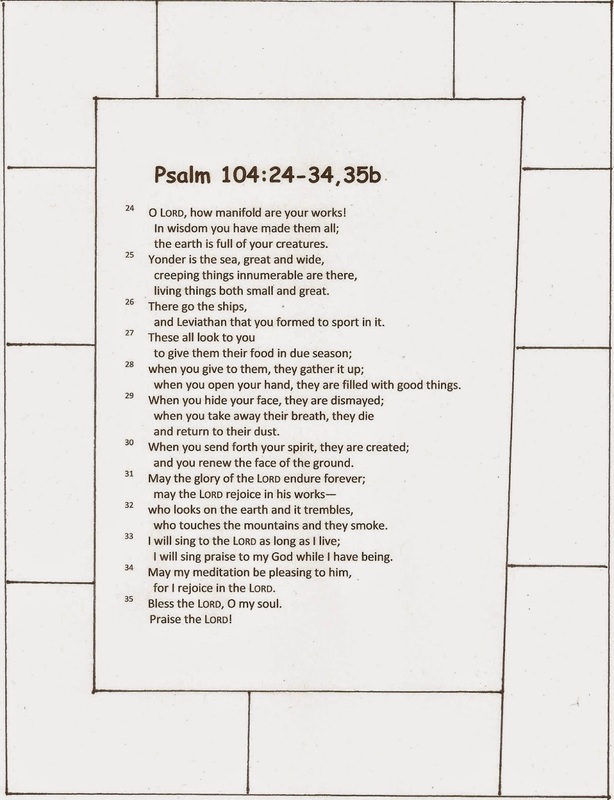 Invite children to illustrate a word and phrase they find in the psalm in each block. * Sing “All Things Bright and Beautiful” or “I Sing the Mighty Power of God” which are filled with specific things God created. * On a day with such a wonderful story to tell and a great prophetic vision to explore, I’d leave Paul’s argument for the grownups. He is exploring abstract ideas that are beyond the experience of most children. But, if the Spirit is leading you here, try one of the following. * If you have already read and explored the gift of the Holy Spirit in Acts, point out that in this passage “the Advocate” and “the Spirit of truth” (or whatever terms are used in the translation you read) are other names for the Holy Spirit. Jesus is talking to his friends about what is important about the Holy Spirit coming. * In many ways this discussion sets the stage for celebrating the Trinity next Sunday. Jesus says that while he was alive on the earth, God was with people in him. But, now that he has died and risen, God will be with them as the Holy Spirit. They will feel God’s love burning in them and God’s power will enable them to do amazing things. Introduce two symbols for God with us today, then use them again adding a third next week. Today introduce a simple cross to remind us that God is with us in Jesus and a lighted candle to remind us that God’s Holy Spirit burns within us. Display both symbols prominently. And last but not least, a reminder that the end of the school year is coming up. The date may be different in the different schools your children attend. If possible, know the dates for all of them because it is a HUGE event for children. If there are a variety of dates choose one on which to recognize it in the congregation's worship. Go to School Is Out!!! for ideas about how to include it. During Sunday school, we have prepared flaming cherries jubilee and served it over vanilla ice cream or angel food cake (for the lactose intolerant). The red cherries, alight with flame, over the white dessert represent the red of Pentecost, the tongues of fire, and the white dove. We use a crockpot to keep the cherries warm and then add brandy and some of the cherries to a pan to completely burn off the alcohol. Keeping extra cherry topping that hasn't had brandy added to it is wise. There are great recipes for crockpot cherries jubilee on the Internet. This has a lasting impression on the children and it is our hope they think of Pentecost every time they see red cherries on ice cream or cake.